In June, the Midland Red single deck S16 5545 from Wythall Museum will be on our “Cotswolds” tour which includes a ride on the Gloucestershire & Warwickshire Steam Railway and the chance to see the tallest fountain in Britain. The tour will leave Wythall at about 11:30 and go though Alcester on the way to Cheltenham Racecourse. A steam train will take us to Toddington and the bus will take us on to Stanway House & Gardens in time to see the magnificent fountain. From there we will go to Broadway with time to spend some money(!) or have a cuppa. We should be back at Wythall by 6pm. Then in September BCT’s Guy 2976 will be back on the road for a journey around Birmingham’s Outer Circle bus route. We leave Wythall Museum at about 10:30 and start the tour on the Outer Circle at 11am outside Sarehole Mill. We head off in an anti-clockwise direction through Acocks Green & Stechford with a stop in Witton for a cuppa. We are normally back at Sarehole Mill by about 2pm and Wythall at 2:30pm. There is plenty of parking at Wythall and we can also pick up passengers on the Outer Circle tour at Sarehole Mill. On the tours passengers can enjoy a guided audio tour and, on the Cotswolds tour, the train fare and entry to the fountain is included. Additional tours covering the same routes may be planned if there is sufficient demand. 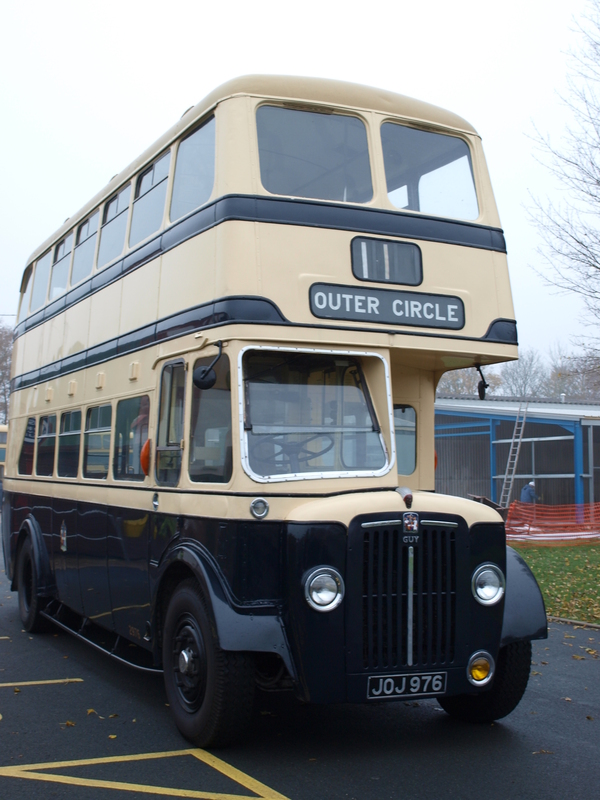 Tickets for the tours will be £33.00 for the Cotswolds Tour and £18.00 for the Outer Circle Tour. (These prices are subject to confirmation). Tickets can be booked by emailing us on info@outercirclebus.com or calling 07405 849192. Use these contact details for more information about our tours. If you are not able to come along on these dates still get in touch as we can alert you if we run additional tours on the same routes. Please remember that we do not make a profit from these tours – all surpluses are donated to charity – including the Wythall Transport Museum. This entry was posted in Cotswold Bus Trips, Historic Bus Tours, Historic Bus Tours for 2014, Outer Circle Bus Trips, Stanway Fountain, Steam Railway, Wythall Transport Museum and tagged 1950s Birmingham Corporation Double-Decker, Birmingham, Birmingham Bus, Birmingham City Transport, BRUM, Bus Tour, Buy tickets, Cotswold Bus Trip, Cotswolds, G-WR, G-WSR, Gloucestershire & Warwickshire Steam Railway, Gloucestershire Warwickshire Railway, Great Western Steam Railway, Guided Tour, Guy Arab IV, Historic Bus Tour, Historic Cotswold Bus Tour, I want to sit upstairs at the front, old buses, Outer Circle, Outer Circle Bus, Ride the Outer Circle, Sarehole Mill, Stanway Fountain, Vintage Bus, Vintage Bus Trip, Wythall Transport Museum. Bookmark the permalink.